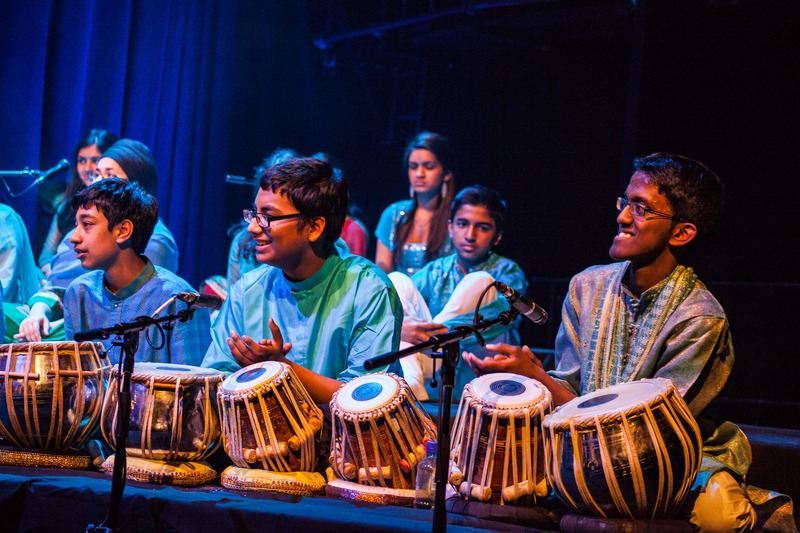 Between 2001 and 2003 we successfully applied to the Arts Council England to grant us funds that would create a new National Youth Orchestra for South Asian Music. The Orchestra premiered at the Lowry to a packed house and was well received. However, from then on over the next few years there were numerous challenges that had to be dealt with. These included overcoming the initial misgivings and indifference of many teachers and musicians about such a bold experiment. But we continued to persevere, and eventually also established a new Senior Ensemble called Tarang. This became home to musicians who were in the post-samyo period, in the 18-30-year age group who were looking for a more structured pathway to become serious or full time musicians. This was a new beginning for the sector in England, to which a lot of new activities/initiatives have been added in subsequent years. In 2005, we began presenting the Music for the Mind & Soul Concert Series in London. We used multiple venues but were focused on the Purcell Room at the Southbank centre. We also presented the yearly Samyo Annual Showcase at the Queen Elizabeth Hall and frequently took our work to the Bharatiya Vidya Bhavan in London. We also hold all our Reunion workshops and masterclasses at London.